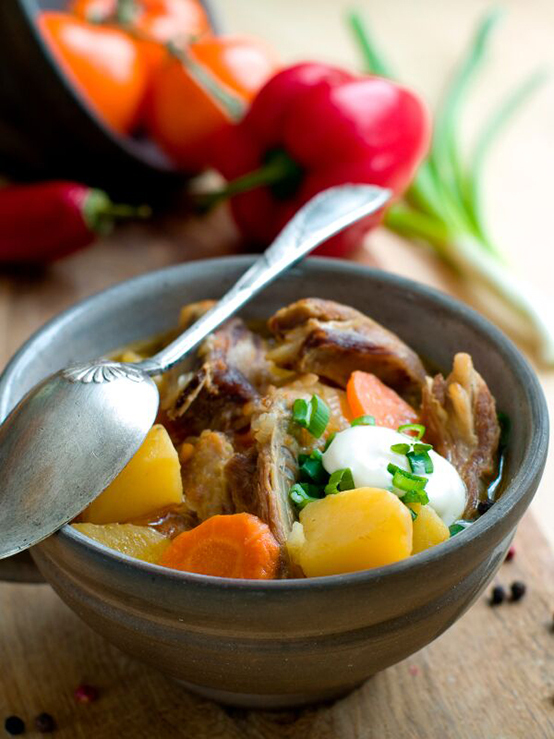 Nothing satisfies your belly like a super stew to cozy up with and the hope of Spring’s return. Prepared in 20 minutes or less plus 30 minutes to simmer. Cut lamb into large stock pot and cover with water. Season with salt and pepper, cover and simmer 20 minutes. Add the vegetables, garlic and potatoes and simmer another 25-30 minutes covered. Season with marjoram and additional salt and pepper and serve.